The average Joe Schmo business owner might think that’s a no-brainer – “duh, Starbucks as tons of locations so of course you’ll find one”. Not necessarily. You’d be surprised how many businesses actually have their location information across the web all wrong, hindering their visibility, or worse, are doing nothing about being present for online searchers with local optimization. 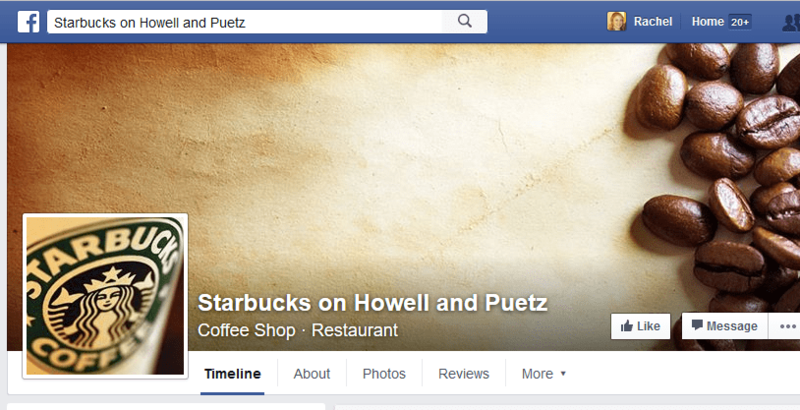 One way you can really mess up your local visibility is having inconsistent local business listings such as having different ways you refer to your business name online like, “Starbucks, Inc.” and “Starbucks Coffee, Inc.”, etc. Consistency in local search is huge. To make matters worse, many organizations also have a tendency to forget to update their business listings when they change locations, leaving behind things like old phone numbers and addresses listed. I’ve had a few clients tell me people drove to the wrong location, or keep getting phone calls for XYZ company that’s in the building they used to be in. You can see how it can snowball into a hot mess quickly. Getting back to Starbucks being a large entity with many locations, it doesn’t mean that I’ll find locations near me that are actually listed or near me, however, Starbucks does a good job of making sure that isn’t the case and, hence, crushing it when it comes to other local coffee shops. 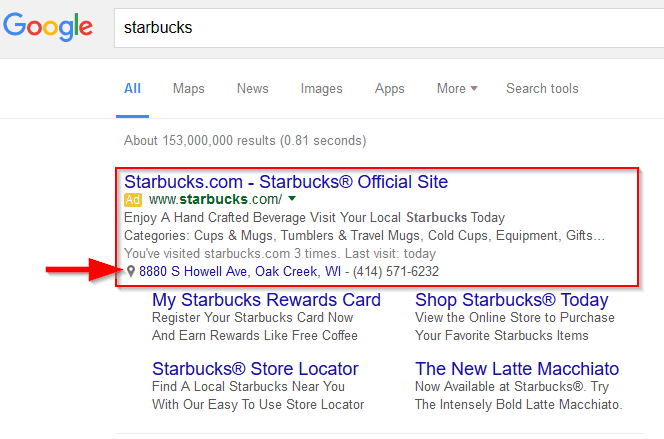 Below are 5 ways that Starbucks knows what they’re doing when it comes to local SEO, and really, just providing a good search experience. Creating location landing pages is a must and is highly effective in serving searchers your locations that are nearest to them. Having landing pages dedicated to each location is good for a few reasons. You are able to add meta data to the landing page that includes the city and state. Its also good to have the street/city in the URL too. Copy about the location is good to add for user experience. All of this makes the page very relevant to search engines on what to serve searchers when they type a query related to your product/service + location. Additionally, it also provides a great user experience on your site when someone is looking for a particular location and its amenities. For example, when I search on the Starbucks site under store locator, I get the address, phone number, store hours and all the location information I need – and that makes me one happy searcher. Double win!! If you’re looking for a good reference on local SEO and local landing page optimization, Greg Gifford has as ton of great presentations on this I recommend checking out. First, if you’re not sure what Google My Business is or want to know more about how it works, check out my presentation on Google My Business and its importance. The long and short of it is, is that if you are a local business with a physical location (especially when you have multiple locations) you need to get on Google My Business. Its free, relatively easy to set up, and again, a no-brainer when it comes to free marketing. 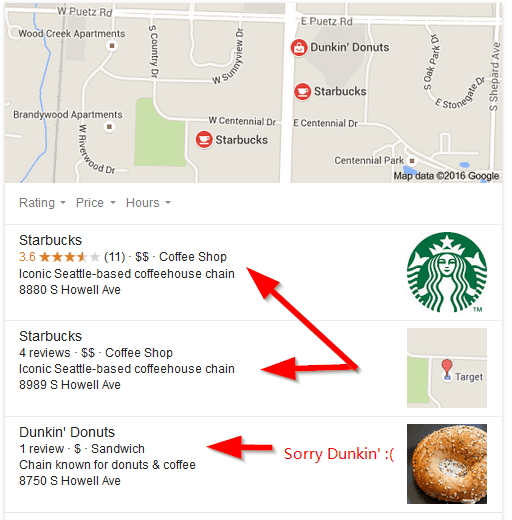 Taking a look at what Starbucks does, they do a good job of setting up Google My Business pages for each location, whereas some companies never get down to the end of the list setting one up for all their locations. It takes a lot of work upfront, but as you can see, it pays to get it done. When it comes to local search, reviews are huge. Its not enough to just create a listing, as much as we’d love that to be true. You have to see it from the search engine’s perspective. Businesses with more reviews (especially good) are going to come out on top (per below example) because it gives search engines more data points and shows that people have positive things to say about them and that means it must be somewhat valuable. Review building is also one of the hardest part of local optimization after getting listed. Obtaining reviews is no walk in the park, but when you put your marketing hat on and put your creativity to use, you can do well just like Starbucks. If you have physical locations and are running paid ads, location extensions are great to add and make the search experience much easier. 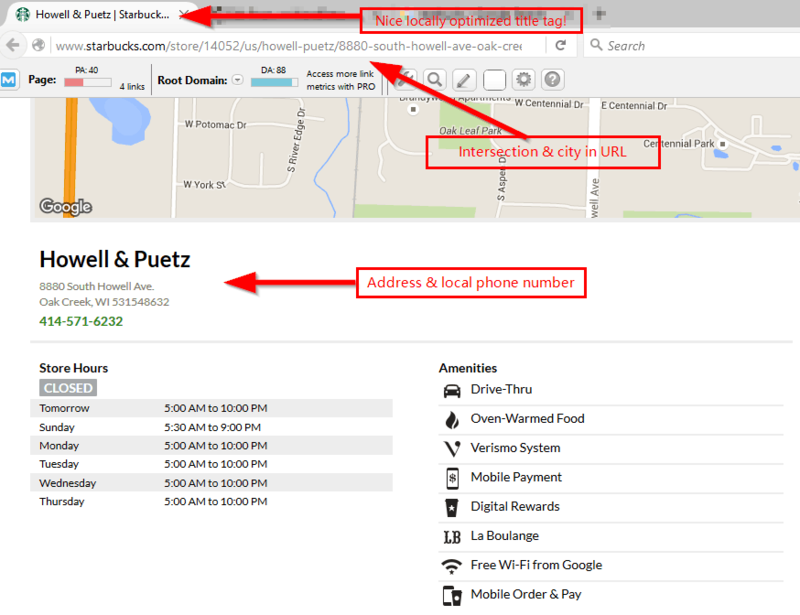 Adding your Google My Business page as an extension is not hard and makes it that much easier for a customer to find directions and contact information . Getting listed in local directories is a large part of local optimization, but a lot of times people forget about social sites like Foursquare that also act as a business directory. 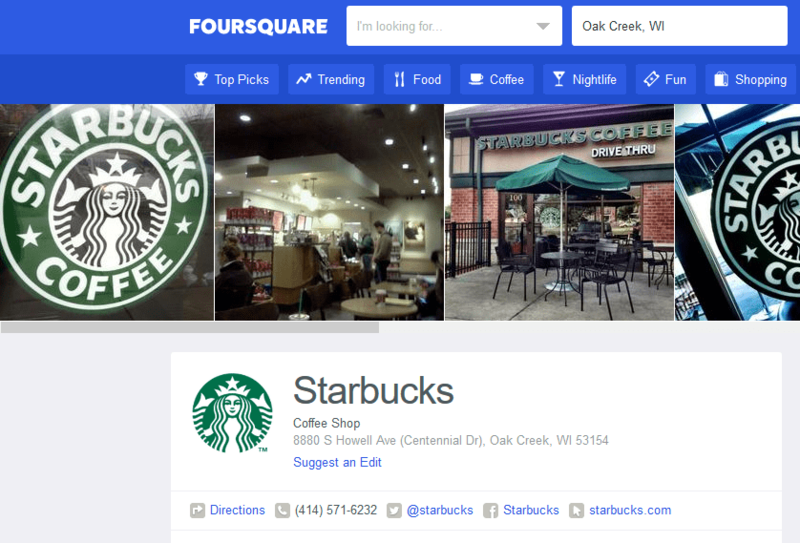 An interesting thing I saw in the search results that Starbucks had was Facebook and Foursquare pages dedicated to their locations. 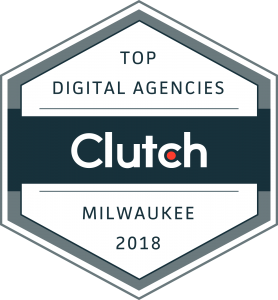 I personally have never created those for any clients, but that was a missed opportunity and its pretty smart if you think about it. You can see that they are also getting some good reviews there as well. So as you can see, Starbucks is really crushing it and are a great example on using local optimization to their advantage. These are just some of the things they are doing successfully that you can take advantage of for your business. With just a little research, you can see what others are doing well and piggyback off of their success. The wheel doesn’t need to be reinvented for tried and true tactics. Download our infographic on the top takeaways from this post. I’d love to hear about your local search successes (or not-so-successful), so please share in the comments and lets get a conversation started! Update: Unfortunately something went wrong with my commenting system and they will only work for posts after this (unless I republish, which I may do). But please share on your social networks and share any comments you have via Twitter, LinkedIn, Facebook, etc.